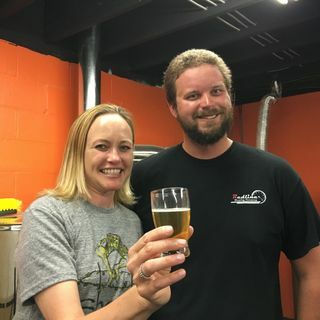 Amy Sherman and John Gonzalez of MLive were on the road this week searching for Michigan's Best New Brewery. On this weekend's "Behind the Mitten" radio show, they broadcast from the road at different locations, including their car. At Tecumseh Brewing Co. in Tecumseh. At Batch Brewing Co. Corktown in Detroit. On the road, and in the car with Driver Joe. Last stop of the search from Redline Brewing Co. in Burton (near Flint).